1 Bedroom Flat For Sale in Glasgow for Fixed Price £43,000. Spacious first floor traditionally built flat within central Blantyre. The property offers accommodation accessed through a private entrance leading to this flat only and includes: hall, sizeable lounge, fitted kitchen, double bedroom with fitted storage and attractive bathroom. The property benefits from double glazing, gas central heating and security entry. There are well cared for communal garden grounds to the rear which include a drying green and a storage cupboard within the private close area. 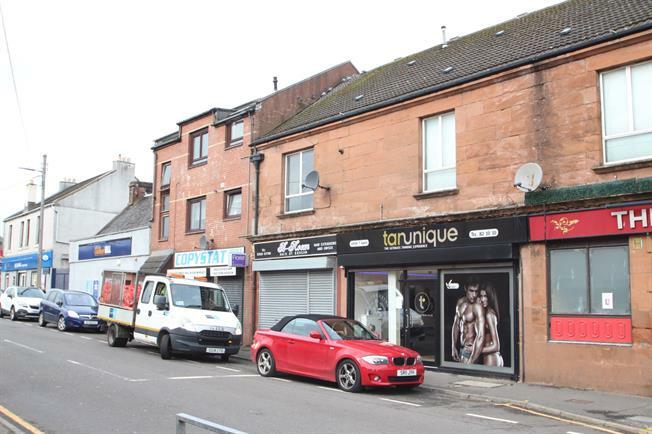 This location ensures easy access to all local Blantyre facilities which include main street shopping and train station. Offered to the market at an attractive asking price the agents advise early viewing.